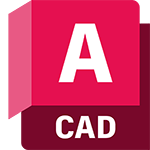 Try AutoCAD and/or any of the industry-specific toolsets that are included when you subscribe. See how using a specialized toolset can speed up your work. Note: Each trial must be downloaded separately.